Debbie I. Chang, M.P.H, is Enterprise Vice President of Policy and Prevention and a Corporate Officer for Nemours Children’s Health System. Ms. Chang works to leverage Nemours’ expertise and experience to spread what works through national policy and practice changes to improve the health and well-being of children nationwide. She co-directs Moving Health Care Upstream, a national collaborative network to test, develop, and spread innovative population health strategies. Ms. Chang was the founding Executive Director of Nemours Health & Prevention Services, an operating division devoted to using a comprehensive multi-sector, place-based model to improve children’s health in Delaware. She serves on the Institute of Medicine (IOM) Board on Children, Youth and Families and IOM Roundtables on Population Health and Improvement and Obesity Solutions, the University of Michigan Griffith Leadership Center Board, and the Winter Park Health Foundation Board. Nemours is a founding member of the Partnership for a Healthier America and the National Convergence Partnership, a unique collaboration of leading foundations focused on healthy people and healthy places. 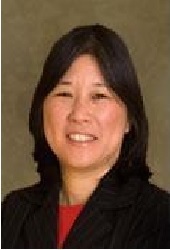 Ms. Chang has more than 28 years of federal and state government and private sector experience in the health field. She has held key government positions including Deputy Secretary of Health Care Financing at the Maryland Department of Health and Mental Hygiene, with oversight for Maryland’s Medicaid program and National Director of State Children’s Health Insurance Program (SCHIP) when it was first implemented in 1997 at the Federal Department of Health and Human Services. Ms. Chang’s work on population health, child health systems transformation, Medicaid, SCHIP, and Nemours’ prevention-oriented health system including its CDC Pioneering Innovation award-winning statewide childhood obesity program has been widely published. Ms. Chang holds a master’s degree in Public Health Policy and Administration from the University of Michigan and a bachelor’s degree in Chemical Engineering from the Massachusetts Institute of Technology.